Raising twins has taught us to do things efficiently. One pregnancy, two babies, right? In our case, we’d already had a single child; we knew what that was like. Then reality sets in. There are also twice as many mouths to feed, diapers to change, and jammies to put on every night. It’s much harder to go in public, i.e. to the grocery store. Keeping with that efficiency theme, we started buying a lot of things in bulk. You can do this online or at the so-called “big box” stores. Stock up. You buy a ton of food, and it lasts a lot longer. Not as long as it should, of course. Two buys seem to eat and poop like four boys. Cover the gaps. A major winter storm is brewing here as I write this, and there’s a rush on pretty much everything at the grocery store. We get to avoid that. Also, I can grab a fistful of wipes for that blowout diaper without worrying that we’ll run out. Save money. This is a big deal for us — we’re the kind of people who look at the price per diaper or ounce of formula. Storage. It’s an eternal struggle to find place to stash the huge box of diapers or canister of formula. Up-front cost. True, you usually save over the long run, but you have to put up the money now for a larger quantity. Narrower selection. You can’t always get everything you want in bulk. Specialty products, like organic foods, are a good example. We’re a long way from done raising our twin boys, but already I can tell you a few things that we bought in bulk and made a huge difference. Even though we breast fed all of our little ones, it become somewhat impossible to keep up with them. Especially once they grew and were drinking 6 or 8 ounces at a time. Infant formula, as you may be aware, is like liquid gold. It has all of the nutrients that a baby needs, DHA, all that good stuff. And they make you pay for it. They say you’re supposed to pick a brand of formula and stick with it. 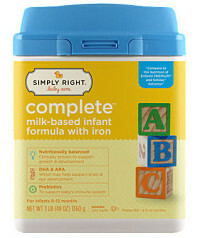 We went with the big-box generic form of Similac, called Simply Right infant formula. It even has the blue lid. The price ends up being about $0.48 per ounce. 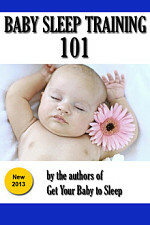 They also have a Simply Right gentle formula for babies with sensitive tummies. This is probably the most obvious thing that you’ll burn through with twins or multiples. Even if your little ones start potty training early, you’ll still change thousands of diapers in the first 18 months. And this is something you don’t want to run out of, or even low on. It takes a bit of planning to make sure that you stock up on the right sizes (especially before they reach size 5, which seems to be a plateau). Storage is another challenge, because diapers are bulky. We usually take them out of the box and stash the plastic sleeves of diapers in closets, under cribs, or wherever they will fit. 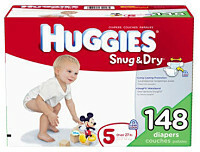 We buy Huggies size 5 from Sam’s Club online, and they give you free shipping! Same thing for Pampers Easy Ups diapers. 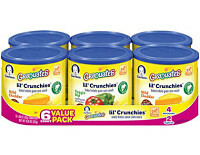 Here’s one food staple that our boys couldn’t get enough of, once they were old enough to eat it. Single-grain and later multi-grain cereal makes a world of difference in keeping those little tummies satisfied. Especially at night, when a few spoonfuls of cereal before bedtime provides that slow burn to help them sleep just a little bit longer. 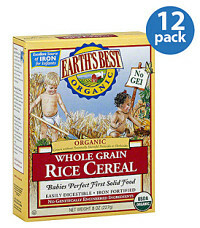 Most babies will start on the single-grain rice cereal, like the whole-grain organic cereal you can get from Earth’s Best. Baby wipes are another crucial staple that we always try to have in stock. We don’t want to run out of these, EVER, and we don’t want to have to skimp on them after a blowout. They have uses beyond diaper changes, too: washing hands before or after eating, wiping faces before you go into the store, impromptu mess clean-up, that sort of thing. We learned the hard way (with the boys) that once toddlers are old enough to eat finger foods, that’s pretty much all they want to eat. It’s one of the first things in life that they can somewhat control, so they latch onto it and don’t let go. 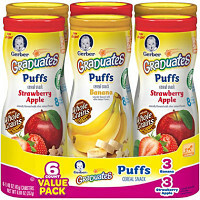 Gerber claims that 25% of a toddler’s calories come from snacks; I’d say that’s probably an underestimate in our family. 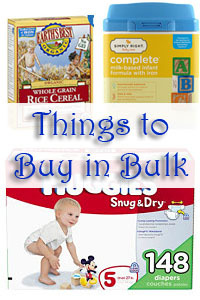 There are other things to buy in bulk, too, but these are the big ones. Just wait until your twins start drinking milk, then you’ll really learn what “buying in bulk” means.